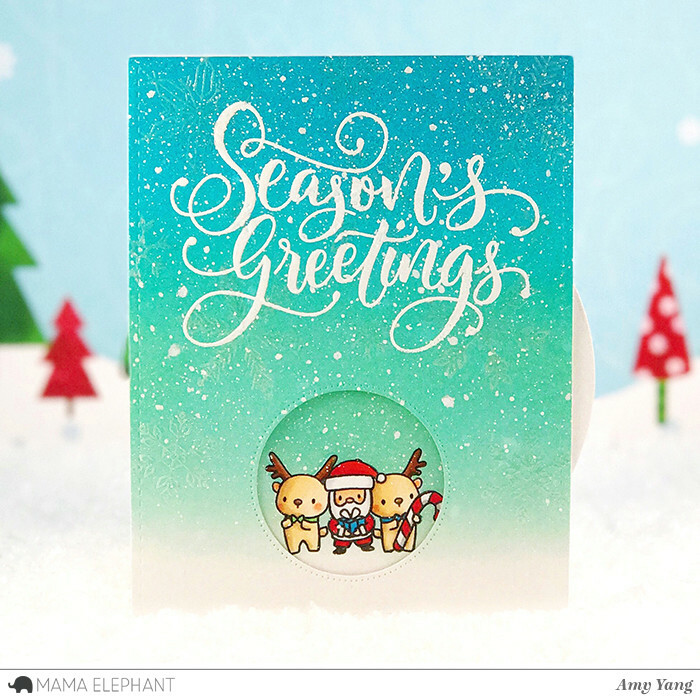 Hello, today the Design Team are showcasing Paola Esteron's beautiful hand lettered Season's Greetings from the Season's Wishes set! 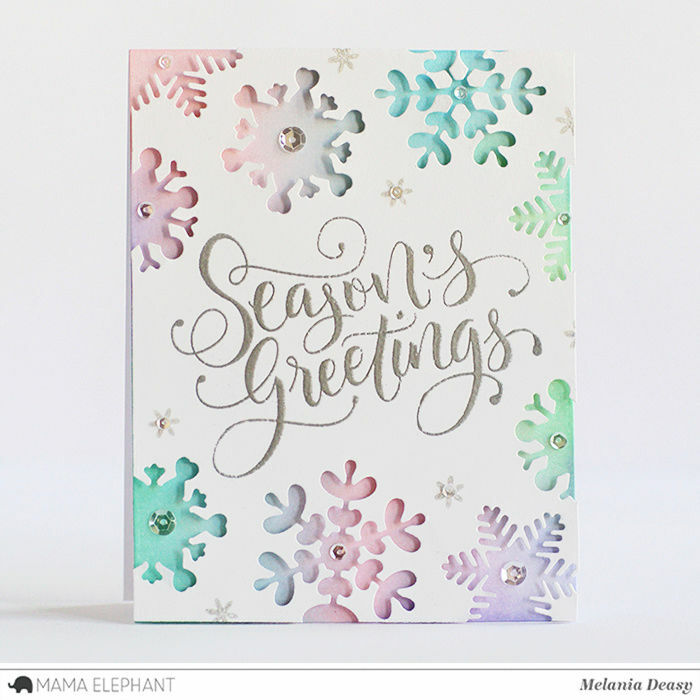 Deasy combined Season's Wishes with Snow Flurries dies to made this festive Holiday card! The sentiments from Season's Wishes sends a heartwarming message here in Amy's night before Christmas scene. 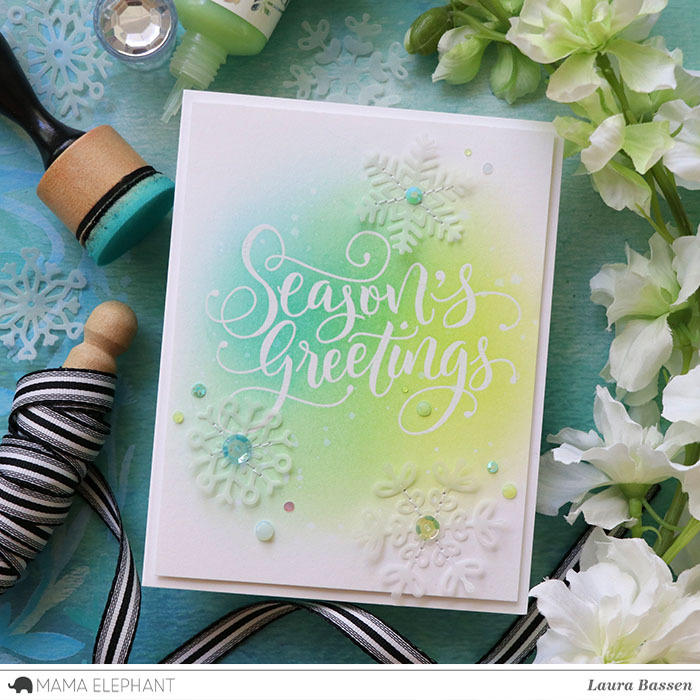 We love Laura's dreamy card with the stitched vellum Snow Flurries die cuts. 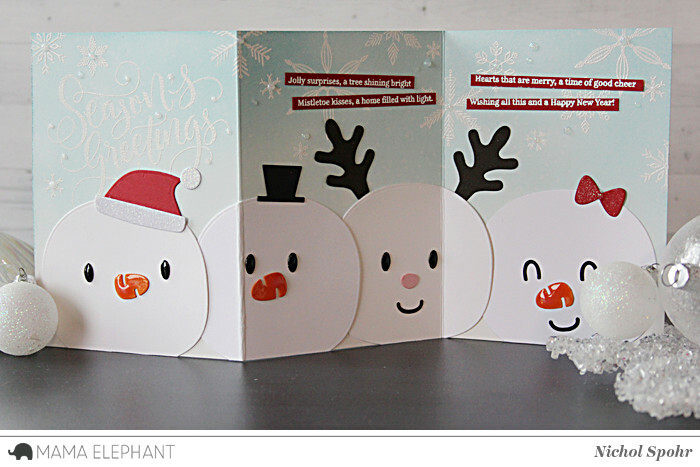 The Favor Bag Add Ons in Santa Elf and Snow Deer make a cute row of snowmen in this tri-fold card with an embossed resist backbround featuring Season's Wishes greeting and Holly's Snowflakes. 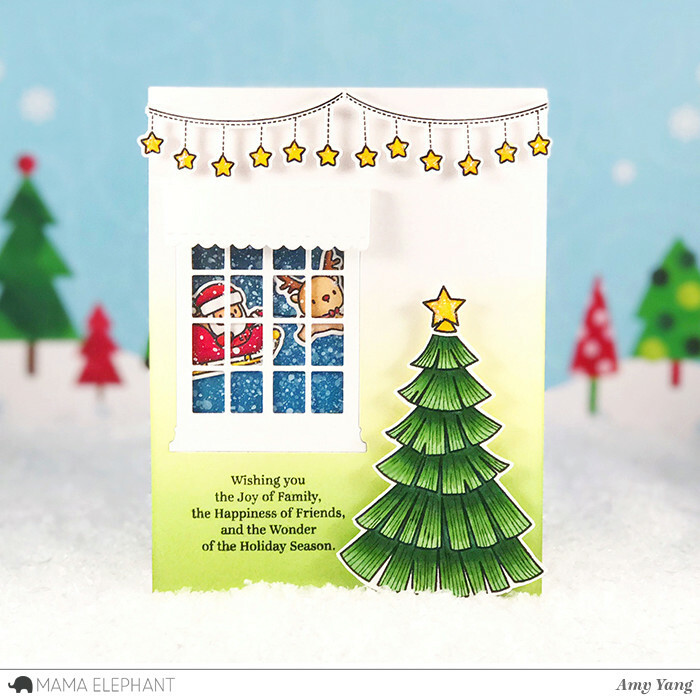 We love how Vera made a panel card by using the Season's Wishes and A Cookie Christmas stamp sets with the Tri Window Cover Creative cuts together. All these creations are just true delight! You seem to have a spammer. I really enjoy everyone's creations. Channels that let you enjoy more than playing games. Cute cards and darling images. Love the die cut snowflakes. The # 1 Online Gambling Online Game Site Leading Open-Risk Ways Online casino games that are fun to play every day, no stop to get lucky to play games that create new experiences for you to play easily and open activities that bring fun to you. Well, for an impressive online bet. Golden slot Games that give excitement to the atmosphere of fun in which we want to play all the time without stopping today, many gambling games are well known, whether it is a casino, roulette, casinos, online lottery. And over 200 online gambling games give pleasure. With the value of the Thai society of betting, bringing entertainment to the game with simple techniques to play. สล็อตออนไลน์ Choose to create happiness in the modern gambling perspective. Make a new income easy to open a view on gambling at any time to make an extra income to find a game of gambling to play a modern way to welcome you to play the game. All day Come and make fun with a satisfying gambling angle, get rich easily. OMG!!!! These cards are really adorable!!!! Wow!!! Really Beautiful cards!!! I LOVE this stamp set!!! those snowmen - so cute.